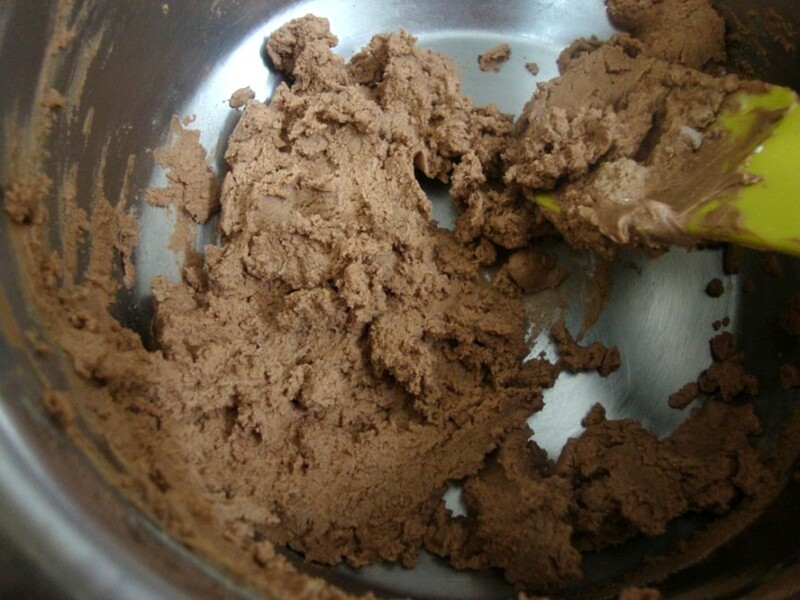 I have always wanted to bake a Chocolate Cookie. I have met few who don’t like chocolate much, I actually can’t understand how one does not like Chocolate. I like most everything about them except this part. Of course it becomes great as they don’t eat it but give their share to me! How very nice. As one of the things I decided I should do this year was to write down those recipes which I should make. And Chocolate Cookies being one of them. Since few recipes I have on hand asked for eggs, I was sure I was going to make these Eggless. What, after going through all the hassle of baking and I don’t get to taste it? Nay, I am not that selfless these days. Never mind the calories nor the fact that I will, at the most get one cookie to taste. Having decided that I was going to bake these, I immediately told myself that baking is not exactly what I should do with the kids around. It is one thing to experiment and it is entirely another to two imps at your foot all the time, waiting eagerly to grab something and everything they could. I was glad that Konda wasn’t around, else she would have insisted on mixing everything herself. As such I had enough with Peddu sulking that he wanted those muffins right away, seeing the picture on the butter wrap. Then I had tough time getting him sit in one place. I thought I could get them sit in one place by letting them lick off a small bit of batter. That was the mistake. They got hooked. By the time I had the batter pressed on the tray, both of them were standing next to the oven waiting for it to come out. Chinnu even threatened me saying he wants these for tomorrow also. As if these are going to stay put for that long! Anyway all the hassle and strain caused to your sanity vanishes away in a nip with the eagerness the kids show in grabbing the cookies. Measure out almost 3/4 cup of icing sugar. I started with 1/2 cup but increased some more later on. Continue creaming till you get those peaks as in the picture. 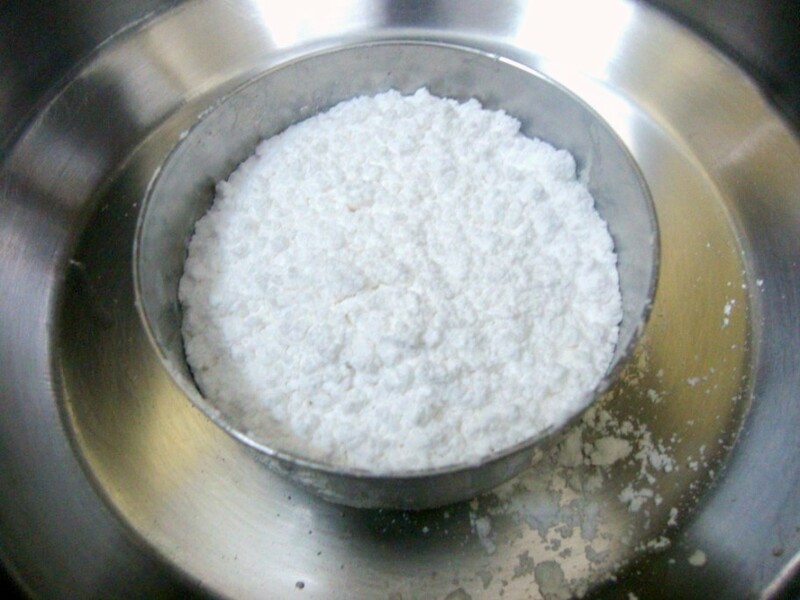 1 cup flour to the bowl. Mix everything together it tends to get little thick. 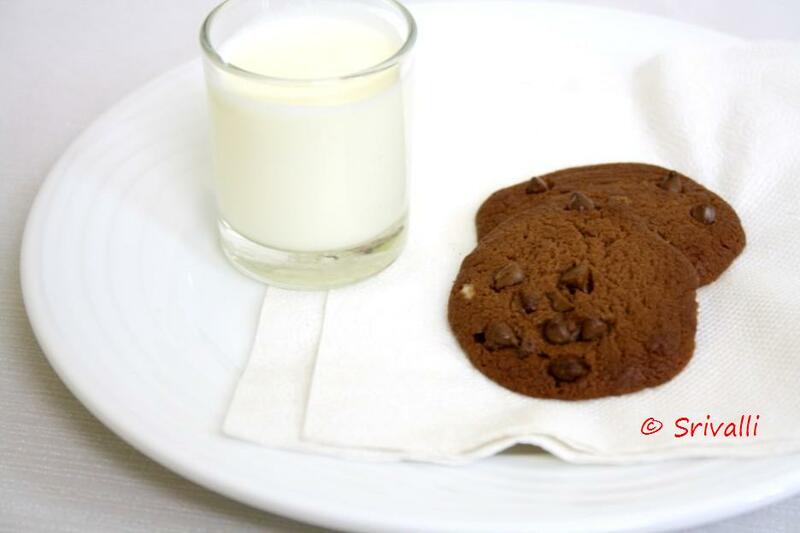 Cream it well again, ok if you want to eat the calorie full cookies, you ought to exercise before right! 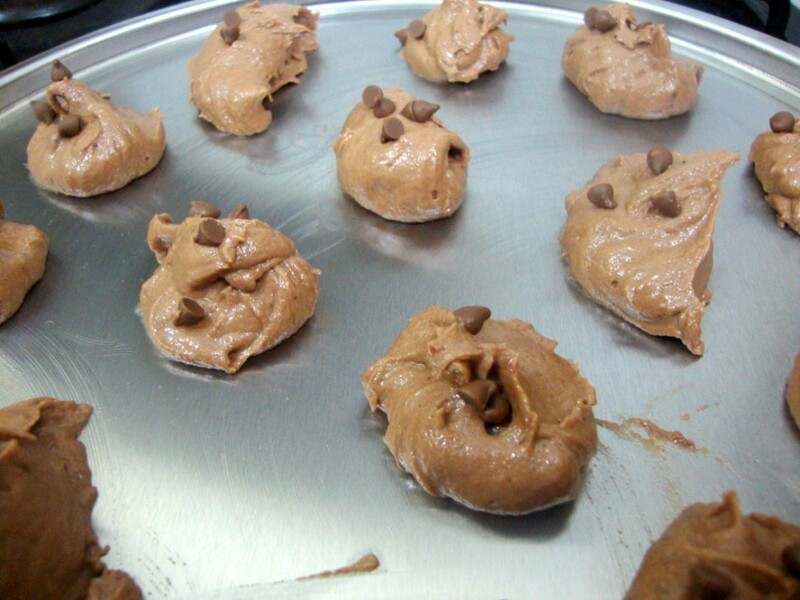 Add some chocolate chips to the batter and gently fold in. Drop in spoonful of batter on a greased cookie tray. Pre heat the oven for 185 degree. Bake for 15 mins at 185 degree then for 5 mins at 175 degree. Get butter to room temperature. Take that in a bowl and cream well. Slowly add the icing sugar and continue creaming it in circular strokes. 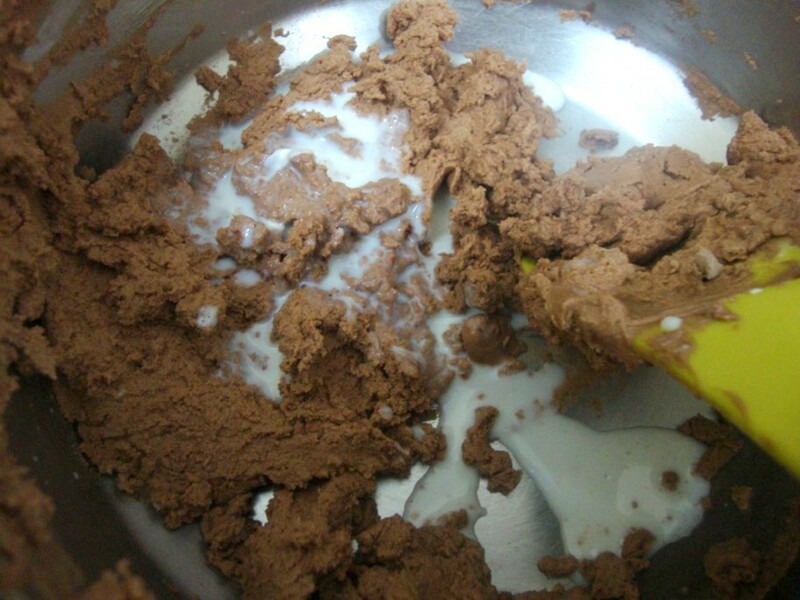 Add the cocoa powder and stir slowly to get it mixed well. Then add in the flour and combine everything together. 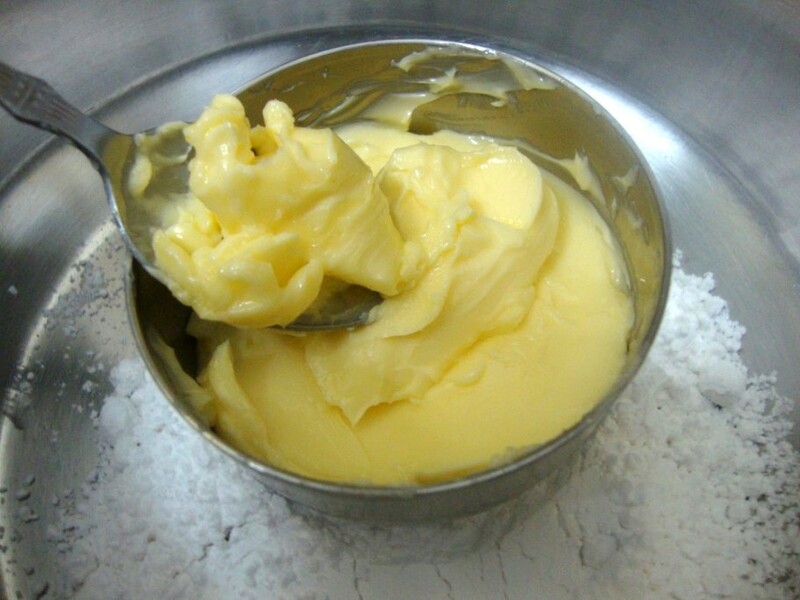 The batter will get thick at this stage, so add in the milk slowly. 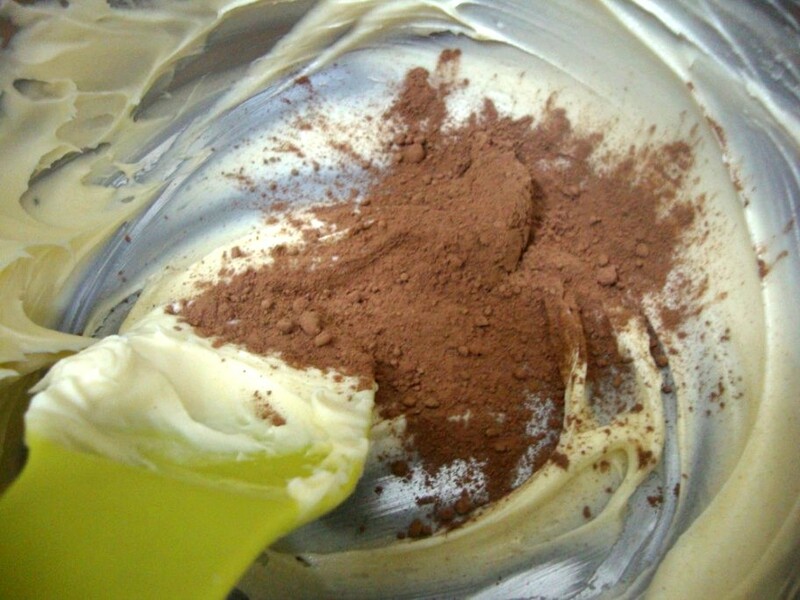 Add just enough to get a thick dropping batter. 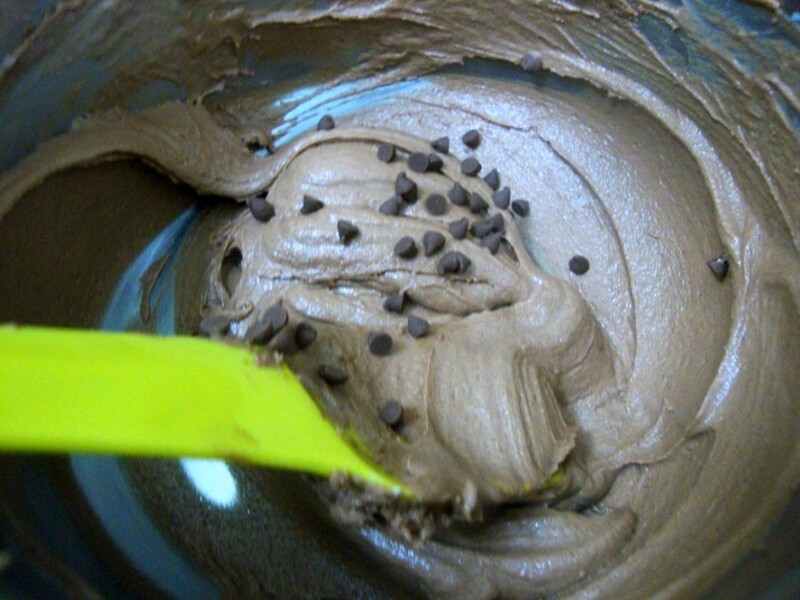 Next goes the chocolate chips you want to mix in. 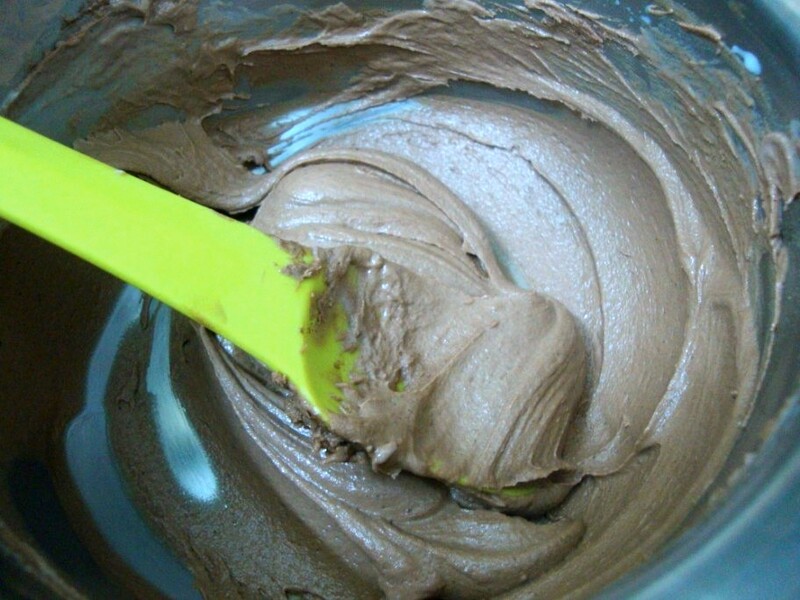 With a spoon, drop into small molds on a greased plate. 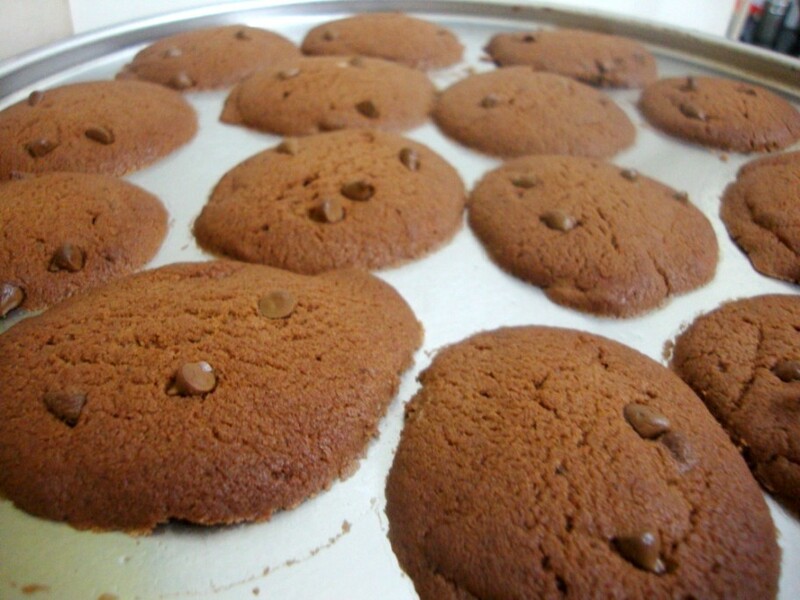 Top the cookies with chocolate chips. Bake the cookies at 185 degrees for 20 mins. Then bake at 170 for 5-6 mins. For the second batch, bake it for 185 for 15 mins, followed by 170 degree for 5 mins. 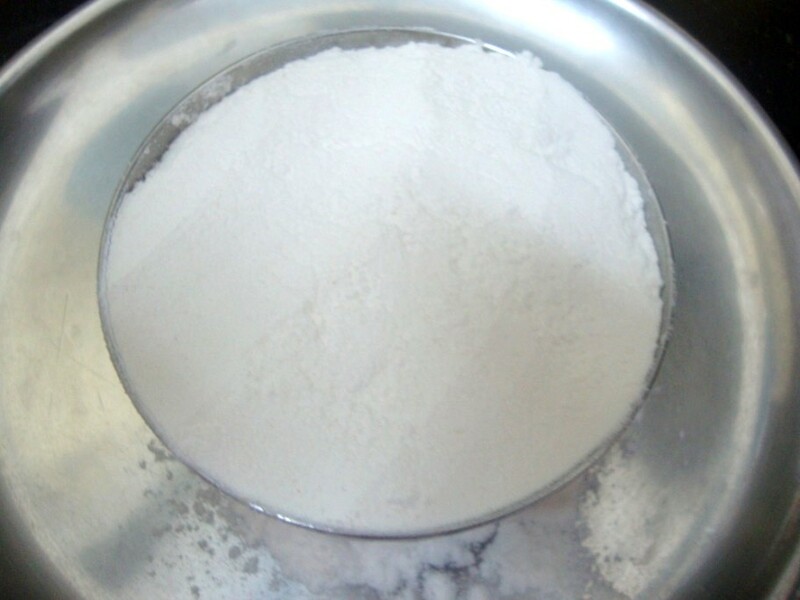 Allow it to cool before storing it in an air tight container. 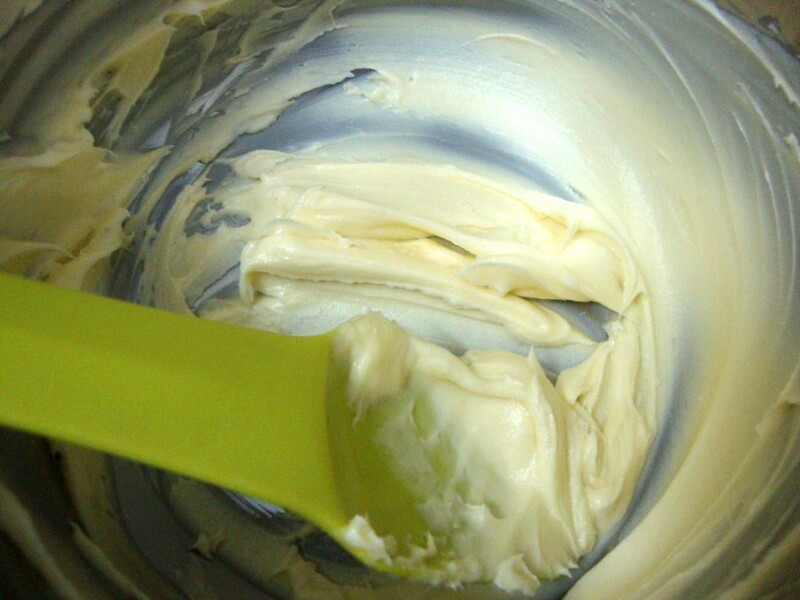 Notes: The batter I got was quite liquid in state, so it got towards being thinner. 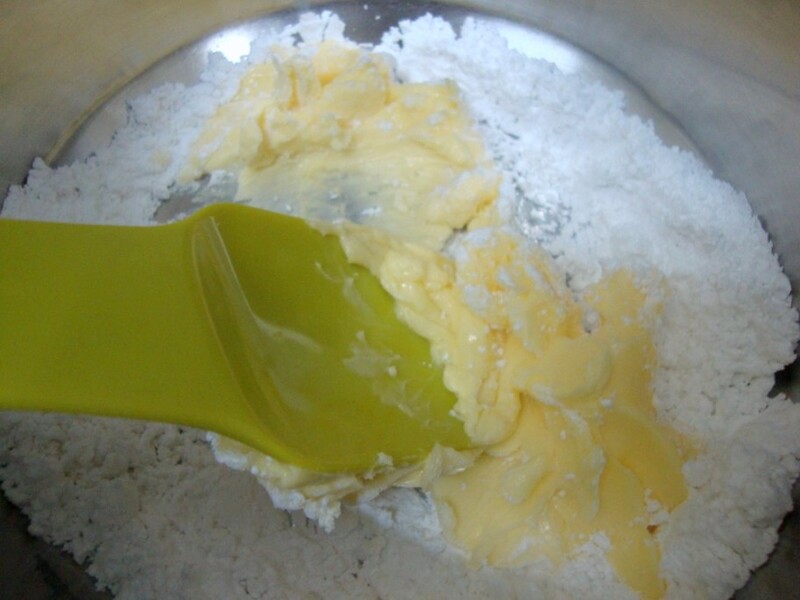 But if the batter was thick you can try shaping them as I did for Butter Cookies. Did you know this? I have been convincing enough to get buddies who will be doing the Marathon with me. Do check out their posts that they are going to do non stop until end of this month! favorite in my house…they will be done in a minute! 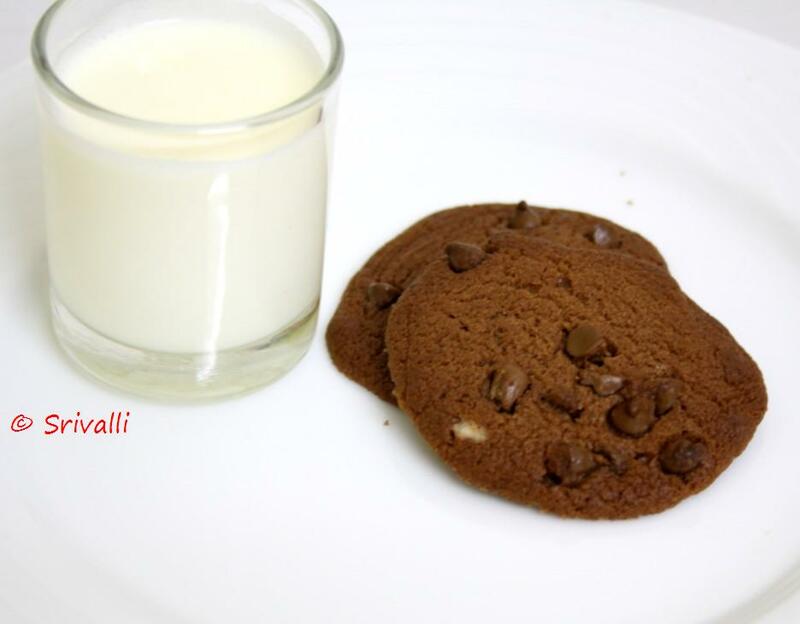 !…lovely combo..cookies n milk! Can i join u guys..since am running already alone two years of marathon,i'll be happy to join u guys…lolz.. Thank you guys..Priya Vaasu, so sorry for having missed out, will update the post. Priya Suresh, you are a pro in running, still will be glad to have you join us.. 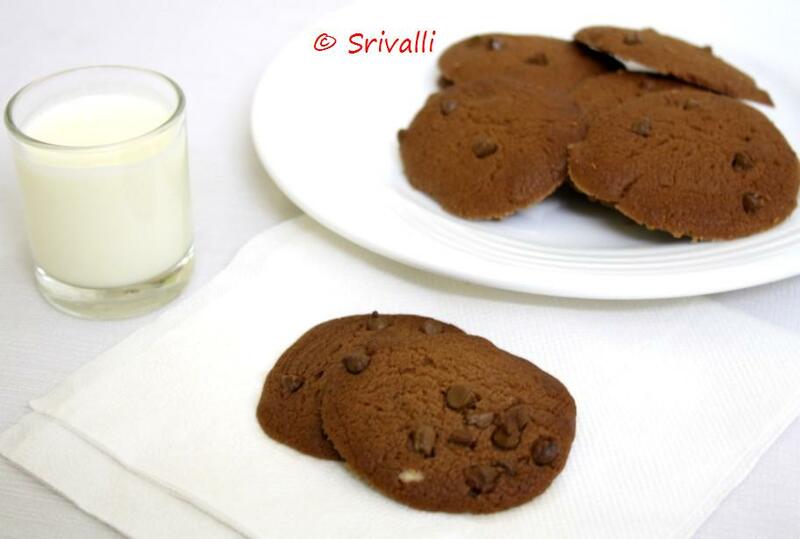 I am sure no kid can say no to Chocolate cookies..looks so so good!! 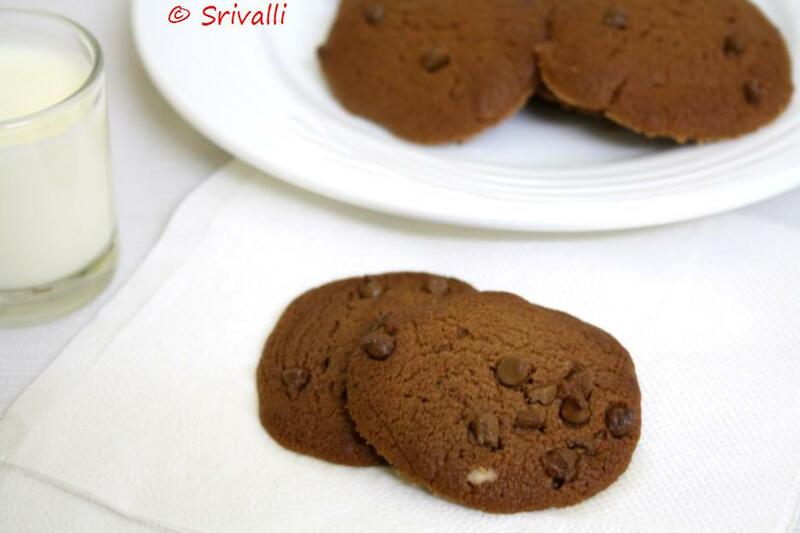 I think the liquid content in the cookies is what made it spread out.Try refrigerating the dough for a while to firm up and then make the cookies,they'll keep the shape–just my two cents! !